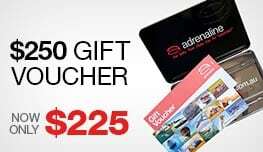 Feel your heart pound as you jump behind the wheel of one of our Lotus Exige sports cars to drive around our newest venue, Baskerville Raceway, Hobart. 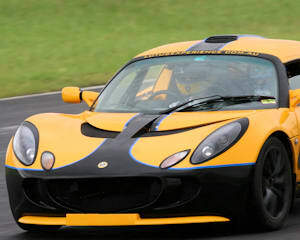 Feel your heart pound as you jump behind the wheel of one of our Lotus Exige sports cars to drive around Baskerville Raceway, Hobart! LOTUS! You have heard the name, now drive the car. This is your opportunity to slip behind the wheel of this super light and nimble sports car and drive it like it was meant to be driven. Safety is paramount, so you will be fitted up for your helmet and attend an informative drivers briefing to explain the principles of high speed super car driving and what to expect. After this, a quick photo shoot with the car and then as your pulse starts to rise and your adrenalin starts flowing, it's time to hit the track to get comfortable and familiar with the track layout and racing lines for 10 laps. This experience is designed to give you a ½ day of in depth driver training with 1 to 1 coaching plus data analysis. From here you will rotate through 2 more mind blowing 10 lap driving sessions to improve your technique and work toward your best lap time. 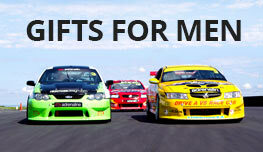 A rare chance to drive one of the most challenging, historic short circuit in Australia. If you have any other medical conditions that may affect your experience, please let us know so that we may be able to accommodate you on the day. Tea, coffee and refreshments included. Session times run between 8:30 AM to 1:00 PM.